The Comox Air Force Museum is the proud host of a Heritage Air Park, located near the museum approximately 500 metres south along Little River Rd/Military Row (the map says Little River Road, the signs say Military Row). Free Parking can be found across from the Glacier Gardens Arena in the gravel parking lot located beside the Heritage Park. The gate to the park exits off this parking lot. 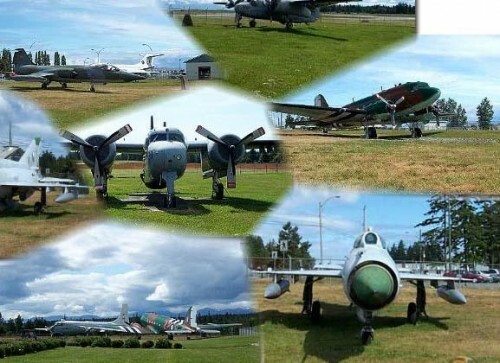 The Air Park hosts a number of different planes, all of which (except one) are reminders of the varied history of 19 Wing Comox and West Coast Military Aviation. The Air Park is open from May to September, from 10 a.m. until 4 p.m. each day. 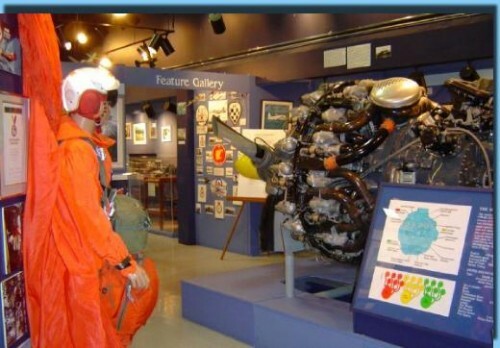 The Comox Air Force Museum is dedicated to the preservation of the history and heritage of the Canadian Air Force on the West Coast, specifically RCAF Station/CFB/19 Wing Comox. Our Museum begins with the earliest days of flight in British Columbia. As you proceed through the main gallery, the collection highlights some of the most important events and most significant figures in West Coast military aviation through the First World War and into the inter-war period. World War II is heavily chronicled within the next section of the museum, as we emphasize important local events, starting with the building of RCAF Station Comox, in 1942. The Second World War section also has a personal flavour, as we house collections from significant local veterans, including F/Lt Raynor Brewster, W/C (Retd) K.O. Moore and John Colwell. The Museum is home for the John Colwell Diary. John Colwell was a POW in the German prisoner of war camp, Stalag Luft 3 (The Great Escape), during WWII. This is the very diary he kept during that time. Our Museum is the proud host of VU 33 squadronâ��s colours, undoubtedly the centrepiece of our VU-33 collection. This collection also follows the squadron through war and peace, and includes their time on the HMCS Bonaventure, Canadaâ��s last aircraft carrier. 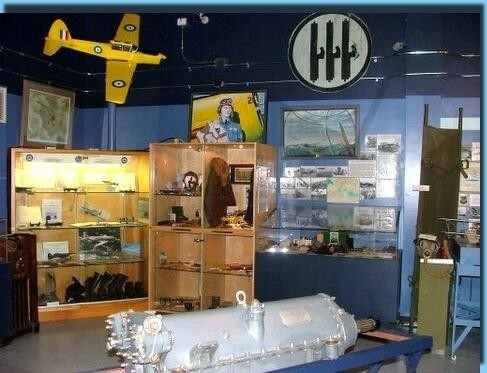 Within the same gallery the museum displays a 414 squadron collection. This collection recounts 414â��s role as a nightfighter squadron in the Second World War, as well as their time as an electronic warfare unit. 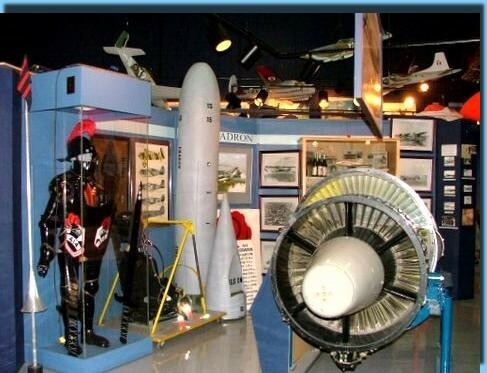 Our museumâ��s main gallery includes displays on current squadrons with local affiliations. 431 Squadron Snowbirds, who "migrate" each spring to Comox for over water training, are discussed with an eye to their role as public relations figures for the Air Force. 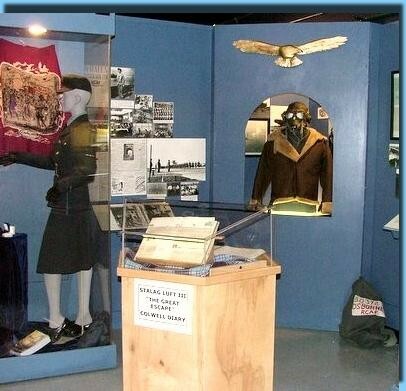 Also, the museum celebrates 442 squadronâ��s role as a search and rescue squadron, as well as their historic significance as a fighter squadron during the war and the reserve â��City of Vancouverâ�� squadron afterwards. Finally, 407 MP squadron is chronicled, beginning with their time as an anti-submarine and shipping unit until to day, when they serve in a very similar role.